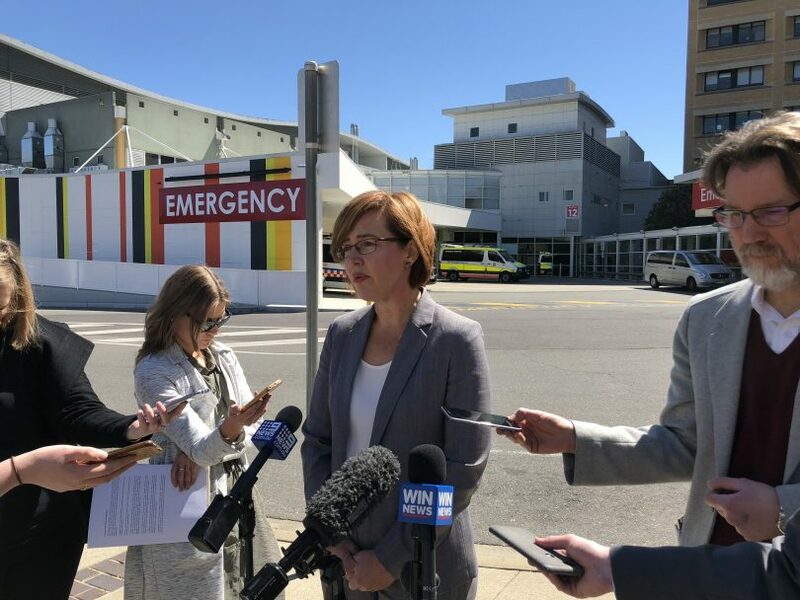 Health Minister Meegan Fitzharris announcing members of the review panel at Canberra Hospital late last month. File photo. The independent review into the workplace culture of ACT public health services is underway with a call going out for submissions from current and former staff, community members and interested organisations. A former Director-General of Queensland Health is chairing the independent panel which will oversee the six-month review which is open for submissions until November 30 this year. The review has come under fire from doctors’ groups and the Canberra Liberals who believe a full Board of Inquiry is needed and say there is no satisfactory legal framework to underpin it. Late last month Health Minister Meegan Fitzharris announced the members of the independent panel, saying she was confident that people could come forward safely under protections in place. The panel will comprise chair Michael Reid, and two members, Fiona Brew, a senior health executive with a background in nursing, and Victorian surgeon Professor David Watters. “Through this call for submissions, we are seeking feedback on the workplace environment and culture of public health care services in the ACT,” said Mr Reid. “We want people to share their thoughts and experiences with us on what is working well and what is not, by making a submission. Mr Reid said that the review will protect the confidentiality and privacy of individuals who make submissions and those who may be the subject of complaints to ensure procedural fairness, while ensuring appropriate actions are taken under relevant legislation. “The protection of people’s confidentiality and privacy is of the utmost importance to the Review panel,” Mr Reid said. The Terms of Reference for the review focus on whether there are any systemic and institutional issues in the ACT health system, and claims of inappropriate conduct and behaviour. The panel will look at what responses there should be to complaints and decide whether they should be referred to any other authority. It will examine and report on the existing workforce policies and complaints management practices and make recommendations for improving workforce culture across the ACT public health system and what additional support systems are needed for staff and management, including training and professional development. The review panel has been asked to provide Ms Fitzharris with an interim report by January 31 next year, with a final report due to be given to the Minister by March 30, 2019. According to website information about the review, these reports will be publicly released. A template and information on how to lodge a submission to the review can be found at https://www.health.act.gov.au/CultureReviewSubmissions. The panel is encouraging anyone with questions about the review to contact the Office of the Review on email: workplaceculturereview@act.gov.au or by phone on 6205 9555. Click here for more information about the review, including the terms of reference.